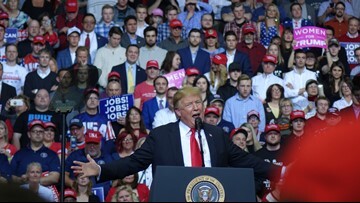 President Donald Trump rallied at Van Andel Arena on March 28, 2019. 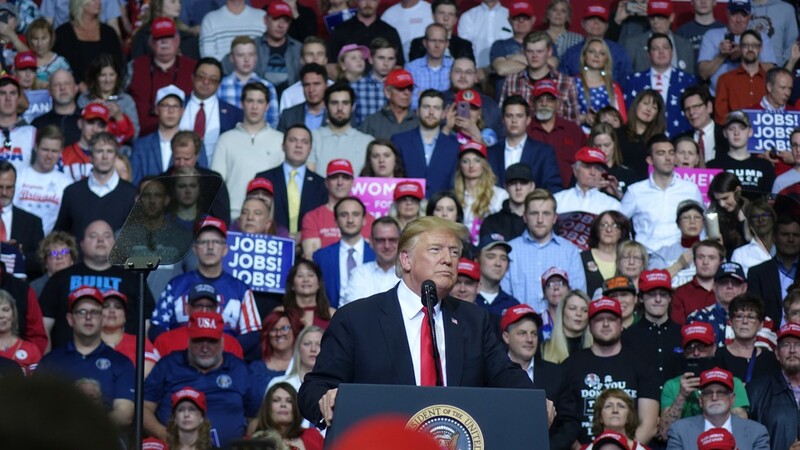 President Donald Trump started the rally by talking about the findings of the Mueller report. 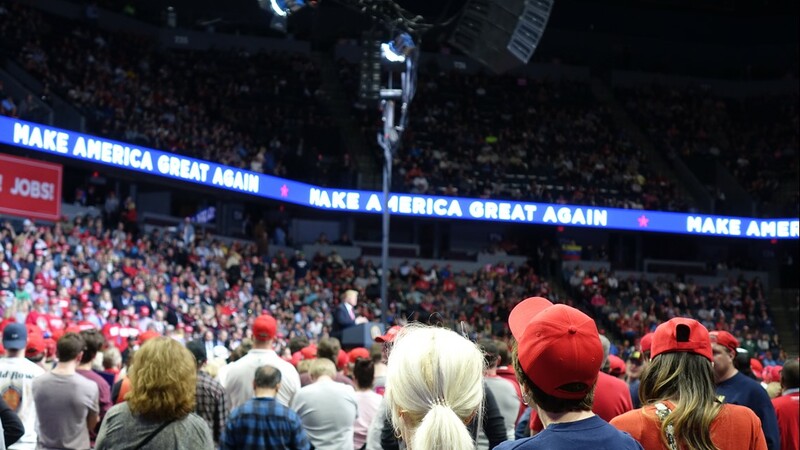 Thousands of people filled Van Andel Arena on Thursday, March 28, 2019 for Donald Trump's Make America Great Again rally. 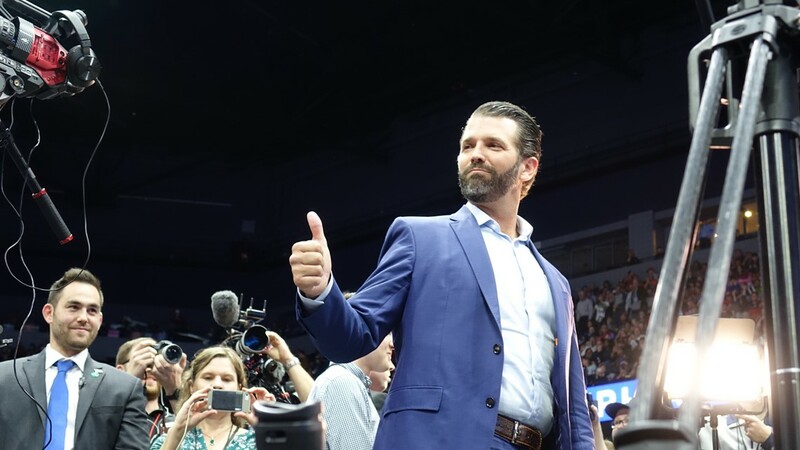 Donald Trump Jr. made a surprise appearance at the Make America Great Again rally on March 28, 2019. 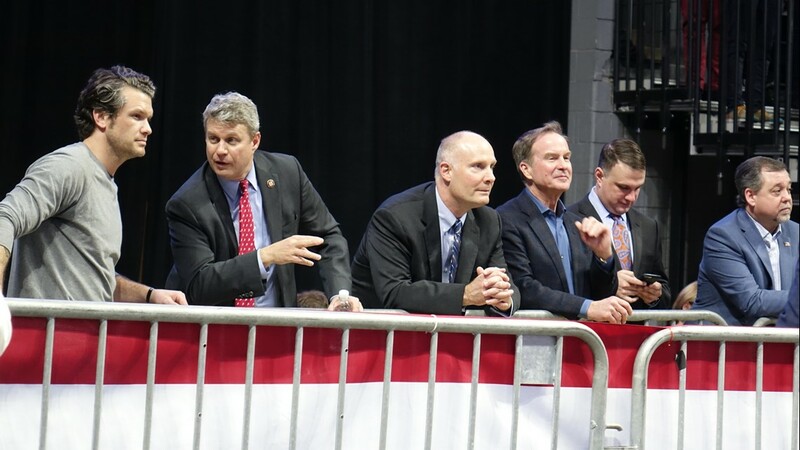 Reps. Bill Huizenga (R-Zeeland) and John Moolenaar (R-Midland) attended President Donald Trump's rally on March 28, 2019. 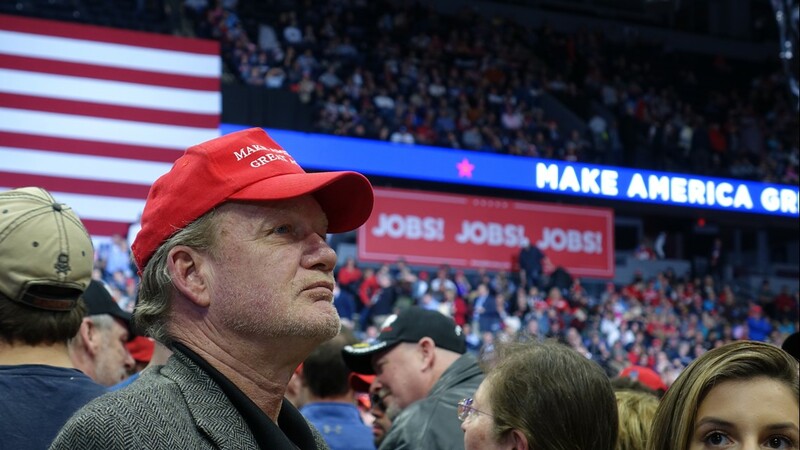 Former gubernatorial candidate Bill Schuette was also in attendance. 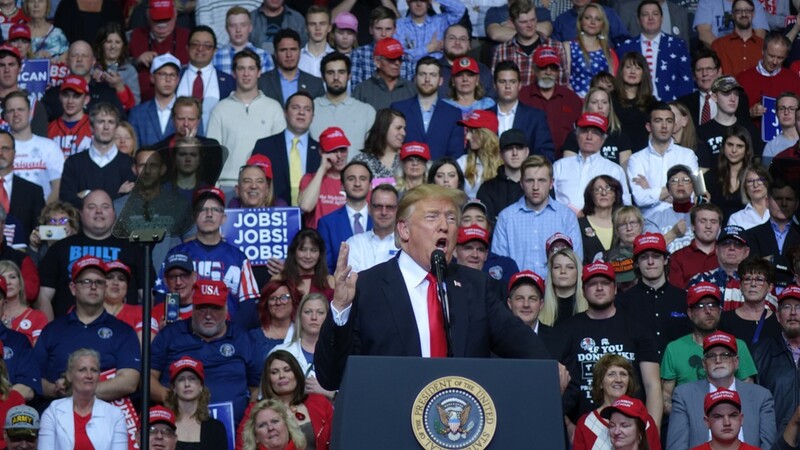 Thousands of Trump supporters showed up to the rally at Van Andel Arena on March 28, 2019. 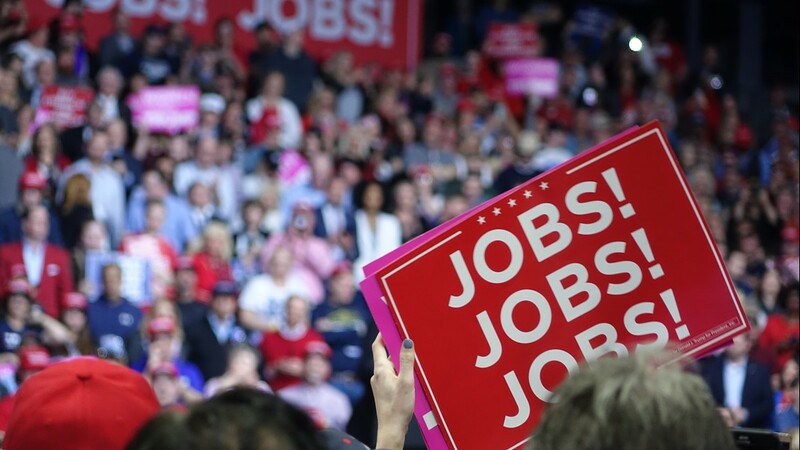 Trump focused on the economy during parts of his rally on Thursday, March 28, 2019 at Van Andel Arena in Grand Rapids. President Donald Trump addressed thousands of supporters in Grand Rapids on March 28, 2019. 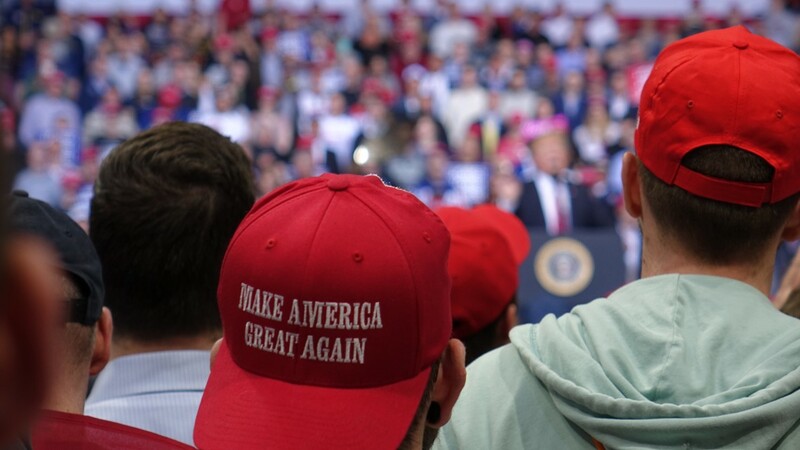 President Donald Trump held his second official 2020 re-election campaign on March 28, 2019. 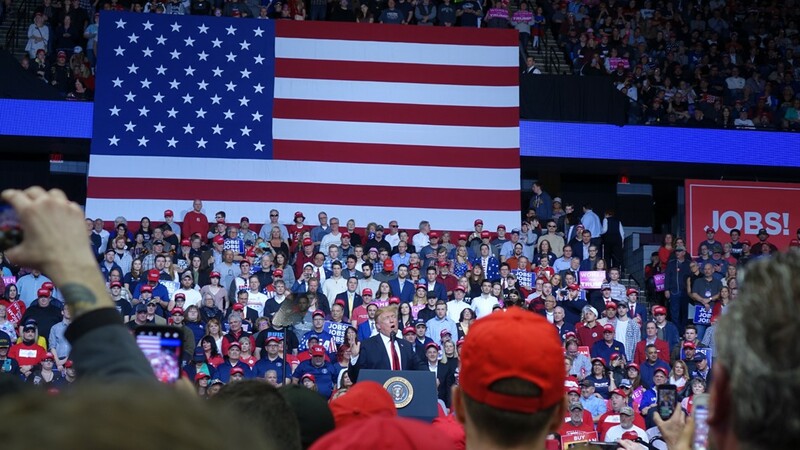 Trump addressed supporters at his rally on Thursday, March 28, 2019.